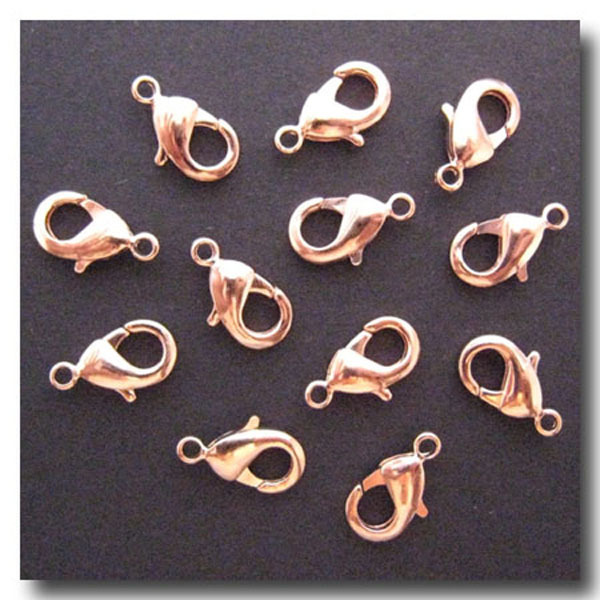 ROSE GOLD PLATE LOBSTER CLASP. Solid Brass. 15 X 9mm. Also Available in Gold Plate, Brushed Silver, Antique Brass, Antique Copper, Matte Black and Shiny Black.